Last week I went to the Tool Barn in Hulls Cove to nose around for some old tools. I did find a couple of nice backsaws for myself but the trip wasn’t totally selfish. Tool picker extraordinaire Skip Brack has three shops all within an hour from my house: the Tool Barn, Captain Tinkham’s, and the infamous Liberty Tool Company. I don’t take it for granted and now I wanna pass some of the goodness along to you all. 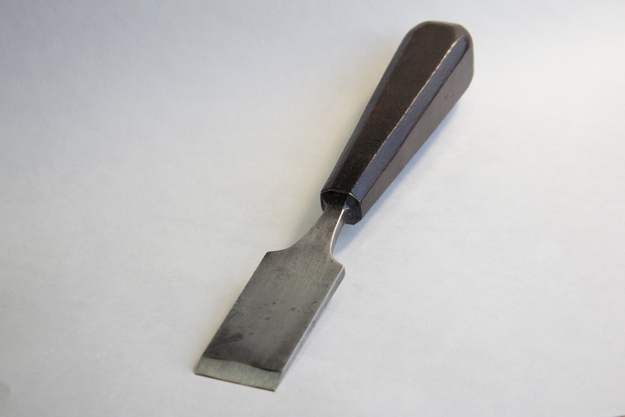 I picked up this nice 19th century Moulson Brothers 1 ½” chisel for a giveaway here. I think everyone needs a good 1 1/2" or 2" chisel. I use mine all the time even for small stuff. The mass and width makes paring operations so much easier. 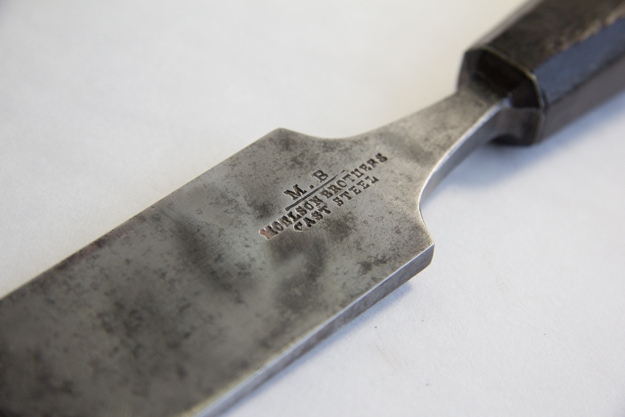 I replaced its split handle, did a very minor surface cleaning, and put a razor sharp edge on it. Now I’m going to give it away. To enter, all I request is that you answer one question: In one or two sentences, why do you choose to use hand tools? There is no wrong answer. I just wanna know what motivates you or inspires you about hand tool woodworking. Please note that no submission is private. I’ll be sharing my few favorite responses at the end and awarding the chisel to the #1 response. 3. by dropping your analog (i.e. paper) response at my booth at Lie-Nielsen this weekend. Contest ends next Thursday morning. You got one week, my friends. What’s your answer? 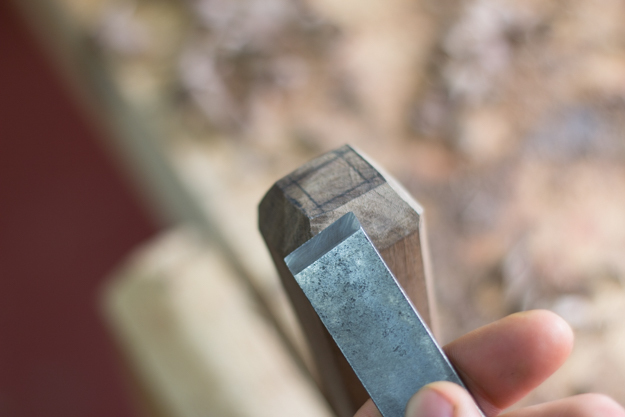 "Why do you choose to use hand tools?" ... then hammer it home. 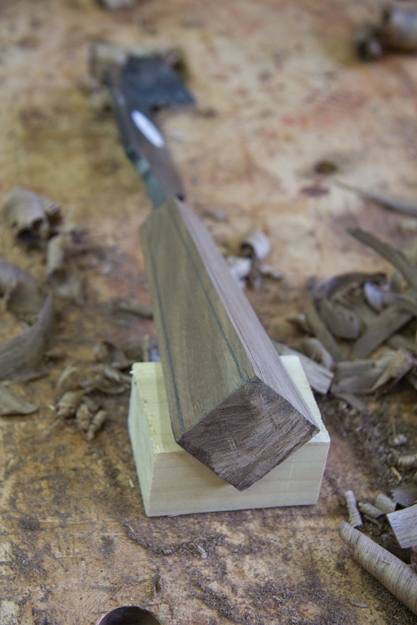 I use hand tools primarily for two reasons. First, because it allows me to pull shapes directly from my brain and into reality that otherwise may be incredibly complicated or even impossible to recreate with machinery. Second, for the endorphin rush I receive when my brain, eye and hand all work in alignment to produce something one-of-a-kind. P.S. 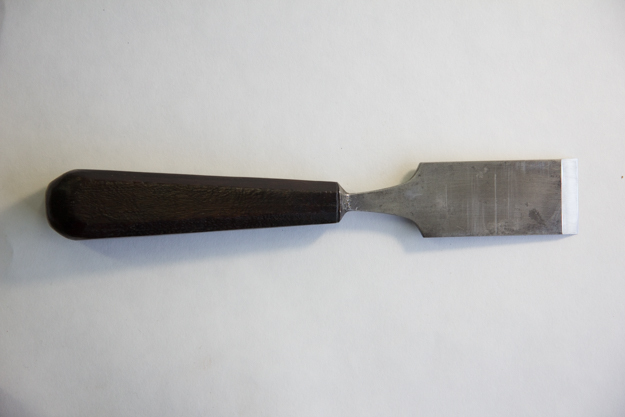 I really like your handle style, looks like quite a nice chisel, and agree 100% about how handy such a chisel is. 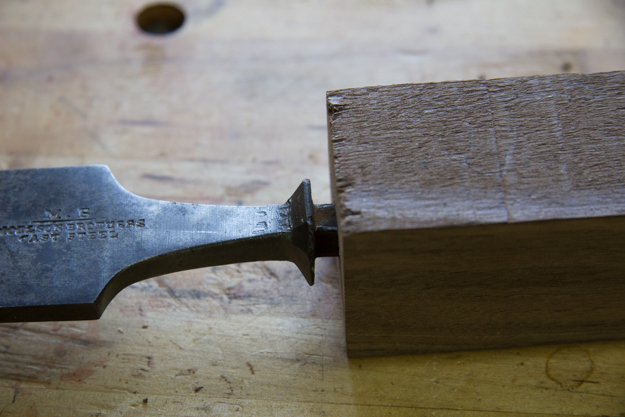 People always rave about the 1/2" size, but my go-to chisels are always much wider. Maybe that's because a 1" chisel was my only chisel for years. Wow, beautiful work and thanks for walking us through your process! I use hand tools for lots of reasons, but the reason I finally decided to switch over to a hand tool only shop was the day I realized my daughters could be in the shop with me and "work" alongside me. At three years old my oldest already has her own coping saw, is learning trees by their Latin names and gets excited when she watches The Woodwright's Shop and sees a tool she recognizes. To me that's priceless. I work mostly with hand tools because I can listen to a baseball game or a Grateful Dead show while I'm working in the shop. I don't have to wear a dust mask or eye protection much of the time. I love finding old tools that still have a lot of life left in them and fixing them up, and my rust-removing and sharpening abilities are infinitely better than anything I can do with electronics. I love that I can safely have my 4 year old hang out in the shop with me, drilling holes in a board or cutting at a scrap of wood with his coping saw. Not the only reason, but one reason I work with hand tools is so that I don't wake my sleeping family upstairs. I work with hand tools because it's better. 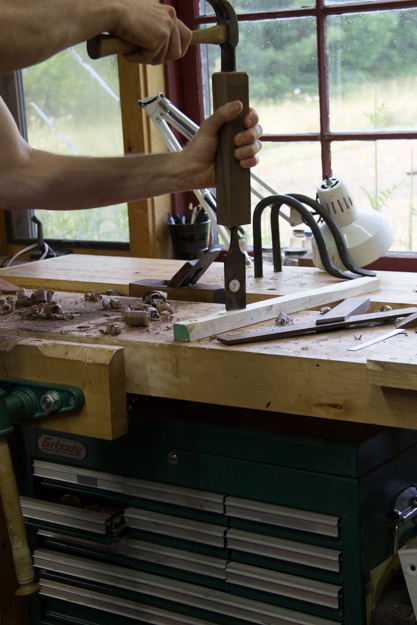 I work with both power and hand tools, but much prefer the sanctity of my hand tool shop. So much quieter and relaxing, I also found it to be very therapeutic. 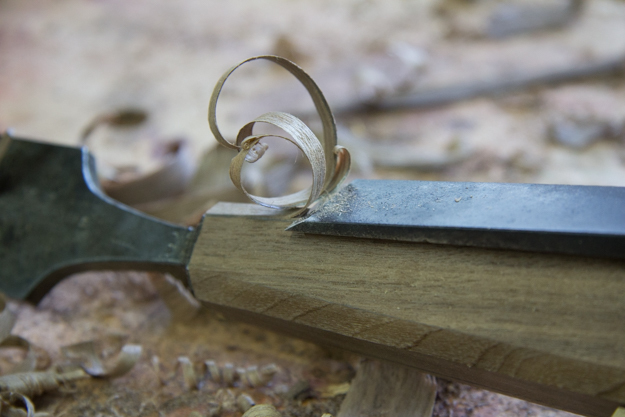 It allows me to unwind, since when I work with sharp tools I have to give all my attention to the piece of wood, and where that sharp edge of my tools is at all time. Everything else in my mind goes out the window along with my frustrations. Its a relaxing experience.... Love it! 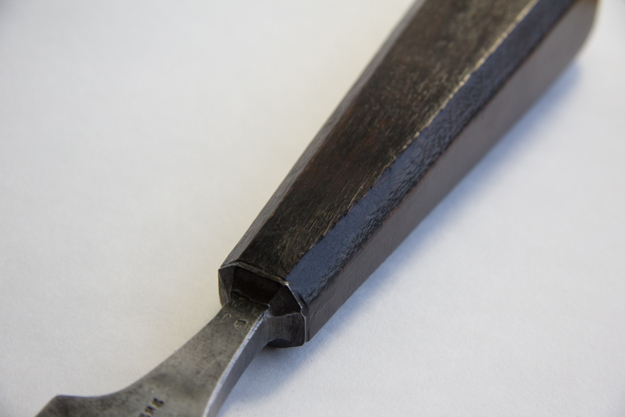 I marvel at the skill and ingenuity of those who lived and worked in the 18th and 19th centuries and I choose to work with hand tools to feel a connection to those who shaped our world before the industrial/technological revolution devalued the artisan and overvalued the machine/computer. 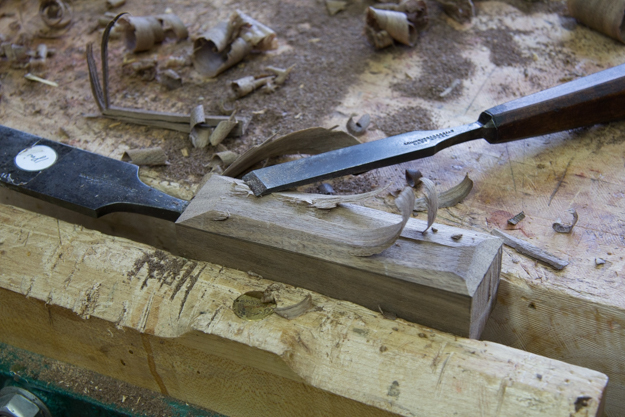 I also choose hand tools because I love the feel and connection it gives me to the material I am working. I think the best way I can put it is that hand tool work is good for the soul: it's quiet, dust free, and allows me to think. It's an extension of my body, requiring nothing but myself and the well-tuned tool. There's tremendous satisfaction in working with planes, chisels, and in my case a scorp, spokeshave, gutter adze, and draw knife. I enjoy listening to the radio and being able to hear it while working. I like to use tools that I have had a hand in bringing to life via an edge or restored to working order from the depths of some lost shed or shop. I love the slight signature a tool can leave in the finished product. (Tool marks = signature) They can be rough or slight - I like seeing them as you know that someone - not a machine - has put a part of themselves into it. Both my Grandfathers were woodworkers....One worked on the PRR but did woodwork on the side during the depression,in fact I have a few of his works and carvings....The other was a carpenter in the Western Pa area..built homes and also carved...I think my answer is simply.....Return to my roots. But in truth , I use both hand and power tools....And I hope both would be proud of my wood work. The main reason that I use hand tools in sensory. 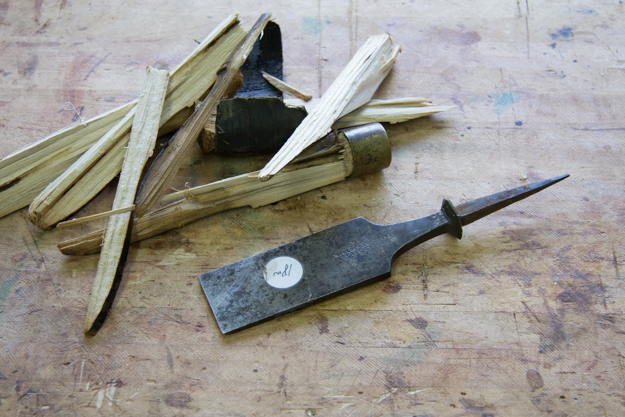 Using them enables me to use all my senses to experience, respond to and create with wood. It provides a much greater awareness of the infinite variety of the characteristics of each species and piece of wood - the sight of the flamed maple ripple, the touch of a smooth piece of ebony, the resonance of a piece of spruce and even the bitter taste of cedar all enhance the pleasure for me of creating in the workshop, and the final piece of work is also better as a result. I use hand tools for the challenge of doing something as my Grandfather would have, and at a pace that allows for the appreciation of the wood. 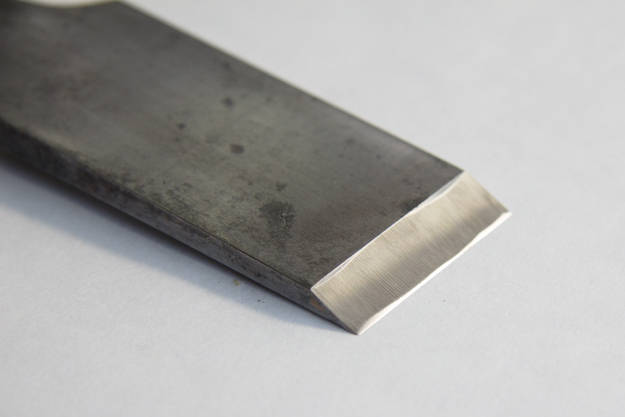 How the grain responds to the sharp edge of the tool, how you can finesse the cutting and slicing. Finally, the sense of accomplishment when you are done. 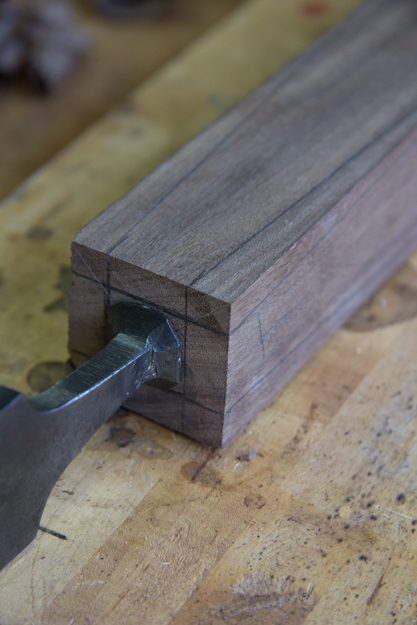 There's something about the connection between the craftsman and the material being worked that requires the kind of feedback that only a hand tool can provide. An example that comes to mind is the way a newly cut tree will seem to "guide" a froe to move through it the way nature intended. It's much more in harmony than the blunt force that is inherent to power tools. 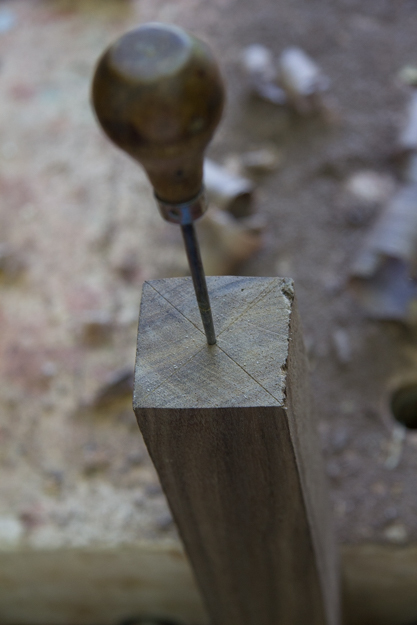 I use hand tools because of spinal cord damage. I used hand tools before it happened, but my finances and the childing from my grandfather, and did I mentioned my finances (? ), kept me using my hands (with tools of course). As a result of the nerve damage, my right hand shakes and on it's own--jurks. I would rather jurk with hand tools then on a table saw, or band saw. I would rather stand the chance with a chisle than a spinning blade. 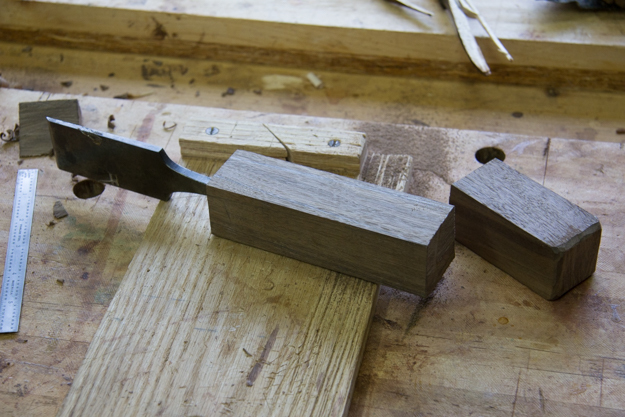 All that is as it may, I enjoy the closeness of working with hand tools. Caressing the wood with a chisle, etc. I simply enjoy the feeling it is me doing the making, not the machine. Less noise helps too. 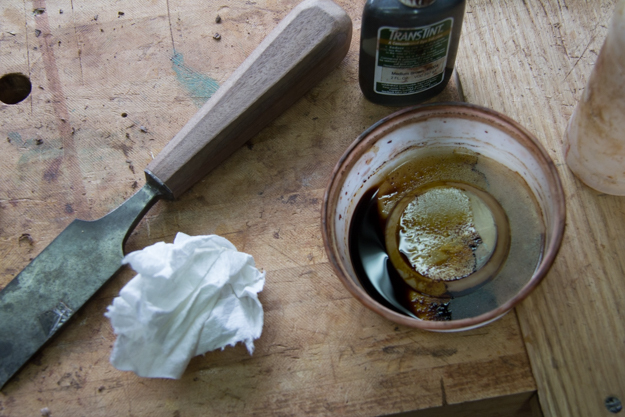 I use hand tools for the haptic joy, and I prefer human noise to machine noise. Aside from that, I've never used a table saw without adult supervision. 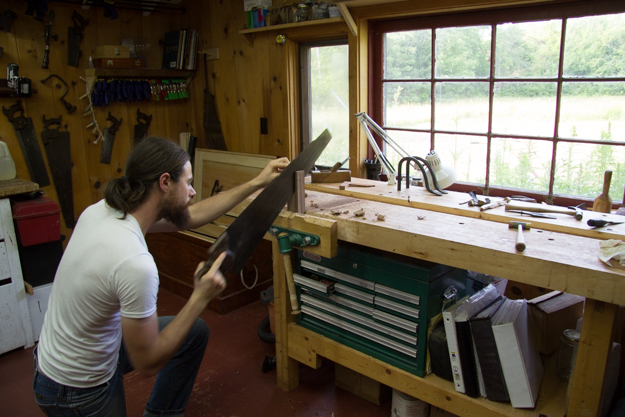 I use hand tools because I'd rather go deaf from rock music cranked to 11 than power tools. 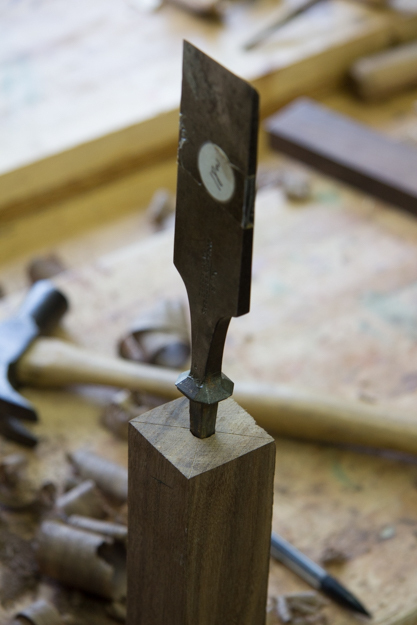 I find that sharp hand tools offer a controlled precision for joinery that is often difficult to achieve with power tools - not to mention the minimal setup time for hand tools compared to power tools. 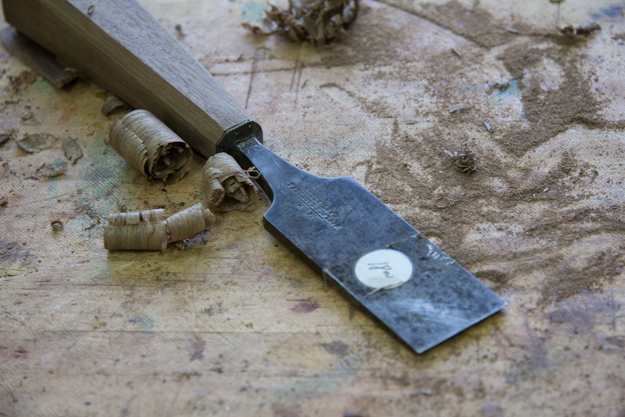 Hand tools also leave planed, carved, or otherwise shaped surfaces that are a delight to both the eye and hand - most of which cannot be achieved with power tools. 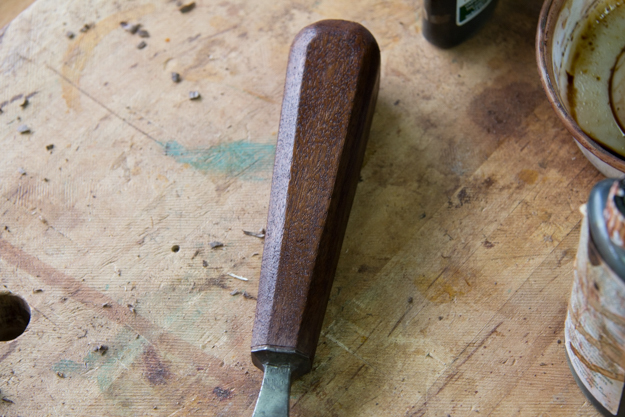 I also find that hand tools are enjoyable to use, quiet, dustless, and they also create a certain tie to craftsman who have used similar tools for centuries past. I also like knowing that with just the hand tools in my (Anarchist's-like) toolbox, I could make any traditional piece of furniture, and perhaps many contemporary pieces too. I spent most of my adult life working against a deadline: college papers, newspaper editing, communications work in the Air Force and working for the Federal Aviation Administration until I retired two years ago. 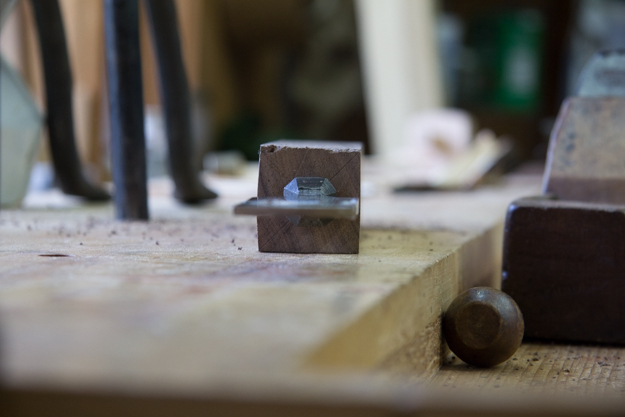 I enjoy working with hand tools because I am not rushed just to finish a project and the pace is appreciatively slow, precise and thoroughly enjoyable at this time of my life. 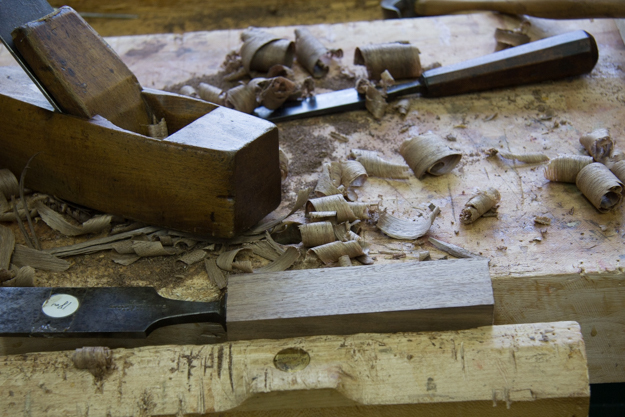 Hand tools gives respect to a material that took years, decades, or sometimes centuries to develop. Machines have their place but they treat every piece of wood the same - with hand tools I can feel the wood and it teaches me how to get the most out of it. I find I use all five of my senses with hand tools and this stimulates my creativity. It's very gratifying to work as craftsmen have worked for hundreds of years with a small kit of versatile tools and techniques. Studying, learning and applying these techniques make my work more unique to my style. Besides, the pets will hang out in the shop with me without the ear splitting noise and dust pollution.